Windows chief Terry Myerson kicked off the event with a brief intro of what we can expect today – feedback from users, Cortana and new hardware devices – and moving forward – apparently Microsoft is planning several additional Windows 10 events just like this before its consumer launch. The first major news of the day is that Windows 10 will be a free upgrade from Windows 8.1, Windows Phone 8.1 and Windows 7 for the first year. That last bit is huge as Windows 7 is found on nearly half of all Windows-based PCs. And once a device is upgraded to Windows 10, it’ll be supported for the lifetime of the device. It's a move that'll no doubt drive adoption sky high in the first year. 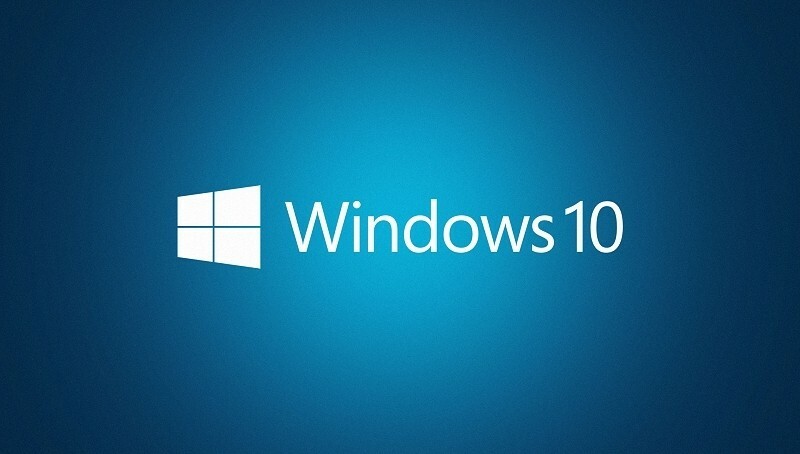 Interestingly enough, Microsoft is pitching Windows 10 as more of a service than an operating system. Myerson even said that one can think of Windows as one of the largest Internet services on the planet. Before jumping into Cortana, Microsoft took a moment to show off the latest Start Menu build. It can be expanded to a full-screen view and shrunk back to a smaller view at will. There’s also a new action center to view notifications, toggle Wi-Fi or Bluetooth, etc. much like you’d find on a mobile OS. Shoring up rumors, Microsoft did indeed confirm that Cortana is coming to the desktop. Attendees and viewers at home were treated to a demonstration and I must say, Cortana is rather impressive. It doesn’t sound robotic like some other personal assistants you may have used. Her voice is fluid and very human-like. On the desktop, Cortana sits at the bottom of the screen in the search bar beside the Start Menu. Microsoft is hoping it’ll provide a new way to interact with devices. It can, for example, provide a weather forecast, compose and send e-mails and even help find files or photos on your desktop. It’s expected to roll out to Insiders over the next several months as Microsoft approaches the consumer release date. Next up is Windows 10 on phones and tablets; specifically, a version of the OS that is tailored to devices smaller than eight inches. For starters, the Action Center (or Notification Center, if you will) is synched to the PC. That means you can dismiss a notification on one device and it’ll disappear on the other. Microsoft also showcased inline replies during a notification – very convenient. A neat UI decision here is the ability to move the keyboard around the screen while replying. This could come in handy if you need to relay to someone else what you’re seeing on your screen. Dictation is a given with the system being able to grab a contact’s name, add correct punctuation and even correctly identify a hashtag. We also got a look at Office running on a phone. Productivity fans will appreciate the Office Ribbon, allowing for easy formatting. PowerPoint, meanwhile, looks as you’d expect – a miniature version of its full-size counterpart. Outlook and Calendar are clean and professional looking. Transitions and animations throughout Office were uber smooth, likely because they are hardware-accelerated. Once again, the rumor mill got it right with Spartan, a brand new web browser from Microsoft. Spartan features a new rendering engine with a fresh new look and feel. Three key features were demonstrated during the event. The first is a note-taking mode that allows users to annotate and mark up web pages and share them on the fly. You can use a keyboard, your finger, a stylus, etc. to make notes. As you do this, the web page essentially gets frozen in time. Microsoft spent a lot of time focusing on reading with Spartan. The result is a Reading Mode that formats web pages like a book complete with Reading List. All of this, of course, syncs across phones and tablets and you can even save web content for offline reading. The idea isn’t new but it’s a welcomed addition. Last but not least is Cortana integration in Spartan. In addition to providing things like weather and traffic information, Cortana will pop up if you visit a restaurant website to provide its menu, location, contact information and more. If there’s something on the menu you aren’t familiar with, right-clicking on the word will give you a definition. Xbox and gaming chief Phil Spencer took the stage to talk about gaming. Microsoft is putting a focus on social networking and interactivity with the Xbox app for Windows 10. There was nothing too groundbreaking here – it basically looks like an upgraded version of SmartGlass. DirectX 12, however, looks very promising. By giving developers more control over the CPU and the GPU, Microsoft claims we can expect in-game performance improvements of up to 50 percent. What’s more, power consumption has been cut in half so games will look better and consume less power. Microsoft is also revisiting cross-platform gaming with a demo of Fable Legends. Cross-platform is something Microsoft tried years ago but the idea never really took off. Perhaps the technology simply wasn’t up to snuff back then? Moving on, Microsoft is also adopting a hot new concept in the gaming industry – streaming to other devices. Later this year, Xbox One gamers will be able to stream games to any Windows 10 PC or tablet in their home. You can even remotely turn off the console if you wish. Again, very cool and welcomed but not a totally new idea. Spencer noted that Windows 10 is coming to the Xbox One but didn’t delve into any more details before handing the floor back to Myerson. The Surface Hub is the next iteration of Perceptive Pixel. It’s an 84-inch, 4K display with integrated compute that features multi-touch and multi-pen input. As you’d expect, it’s loaded with advanced sensors and has two cameras as well as an array of microphones and speakers. It also runs Windows 10 although the interface has been tweaked a bit to accommodate the massive display. If you haven’t already guessed, it’s designed primarily for the enterprise as a creation and brainstorming tool. Moving on to the razzle-dazzle segment of the show, Microsoft showcased its vision of the future of computing with holograms. We’ve seen holograms in sci-fi movies for years and now Microsoft is bringing them to life. Is this Microsoft’s answer to the virtual reality trend? The core of Microsoft’s hologram push is a wireless augmented reality headset (more of a holographic computer really) called Microsoft HoloLens that blends real life with holograms. It features spatial sound so you can hear holograms behind you. To pull it all off, Microsoft had to invent a third processor to go along with the CPU and GPU called a holographic processing unit (HPU?). This isn’t a silly graphical demonstration – it’s the real deal as it was demonstrated onstage. Working in conjunction with the Jet Propulsion Laboratory, Microsoft has been working on this project for years in total secrecy. Where at, you ask? Right in the basement of the visitor’s center on Microsoft’s campus – essentially right out in the open. Developers are already working on apps for the device as holographic APIs are enabled in all builds of Windows 10. Early apps will likely be very basic but the possibilities here look absolutely incredible. If Microsoft can pull off what they’ve demonstrated, this will no doubt be a game-changer. Microsoft HoloLens will be available “in the Windows 10 timeframe” whatever that means. In the coming months, Microsoft plans to showcase its hardware and software partners as well as flagship Windows phones. We’re told to expect more on the topic at the Build event in April.